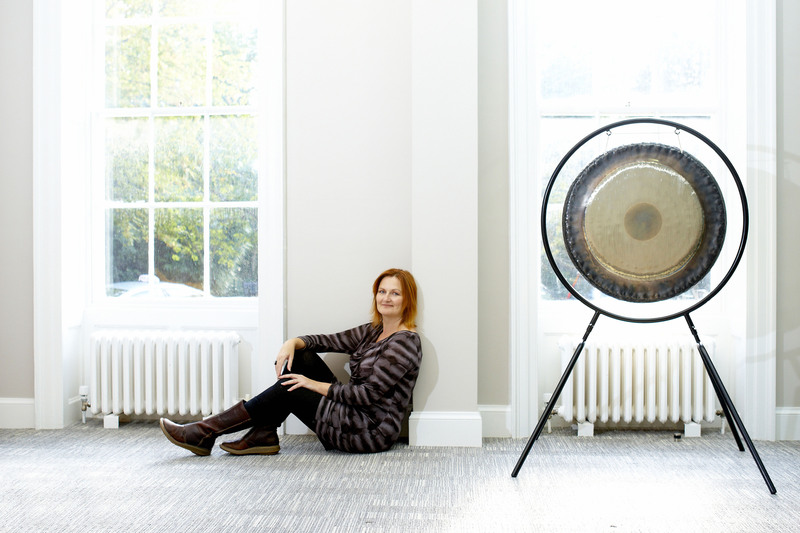 This week’s blog is dedicated to our very own Lyz Cooper who has been revolutionising the world of holistic health through sound therapy for more than 20 years. With a wealth of knowledge and a position as a research leader in her field, her dedication to sound therapy is undeniable. 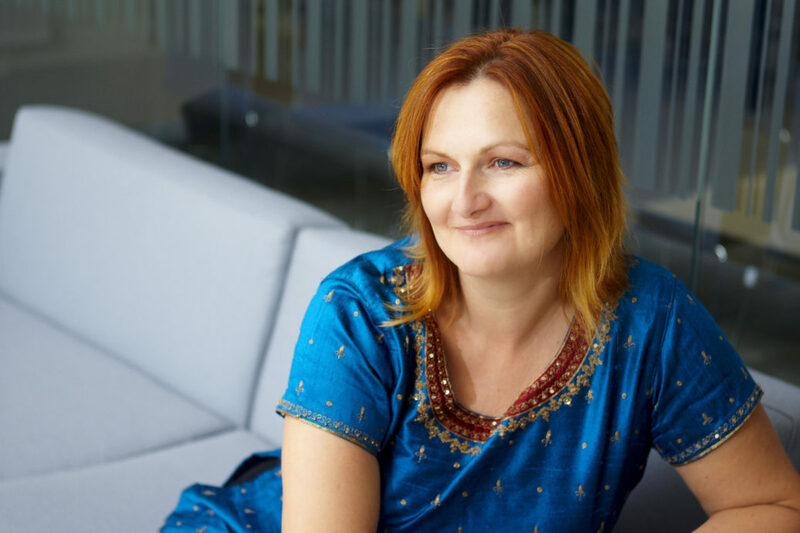 With this in mind, we wanted to get to know the other side of Lyz with a quick Q&A of the top questions that she gets asked..
Expect anecdotes involving chickens, snow kisses and her ‘eureka’ moment that inspired her sound therapy interest! 1.Did you have an ‘a-ha’ moment that inspired you to work with sound? Yes, I was in the bath! I was suffering from ME (chronic fatigue) and had been struggling with chronic headaches, pain in my body and depression. One day I began to use my voice (the bathroom is a fab place to sing with great acoustics!) and I soon noticed that the headache had eased. It was this that inspired me to find out about sound healing. 2. Describe how sound has changed your life in 8 words. I have freedom from life-limiting illness and stress. 3. What’s been a ‘stand out’ moment for you in your career so far? My fellowship to the Institute for Complementary and Natural Medicine for my ‘outstanding contribution to sound therapy worldwide’. 4. If you could change one thing in the Sound Therapy world, what would it be? I would like Sound Therapy to be more widely recognised in the mainstream. We are getting there, but it is taking time. 5. Tell us about a standard day in the life of Lyz Cooper. The day starts with people sharing their stories about sound. We get some great feedback and testimonials, it starts the day off with a very positive vibe. We then start our sound-work with some kind of exercise – perhaps vocal games, or a drum circle. Then we discuss how the mind, body and emotions are affected by sound and how we could apply our techniques to improve health and wellbeing. At the end of the day we have a session where we combine different sounds, rhythms and voices. Sometimes students carry this on at the beach with a jam session after class. 1.Would you rather go through life unable to answer any questions or unable to ask any questions? Why? As a teacher this is a difficult one for me but I would rather be unable to answer any questions. Teaching is a bit of both, but mostly I aim to help people to find their own answers. As a reflective practitioner, it is crucial that I help others to find their ways to get better and so I would rather go through life not answering questions and just empowering others. 2. If you weren’t working with sound and running The British Academy of Sound Therapy, how would you be spending your days? I would be writing, composing and researching. As cheesy as it sounds, I hope that people remember me as someone that developed effective ways to help others get better using sound therapy! 4. And finally, the old classic: if a tree falls in a forest and no one is around to hear it, do you think it makes a sound? 1. Chickens – I always smile when my chickens start a chorus of ‘clucking‘! 3. Singing – Especially Mongolian overtones which remind me of the wind in the Altai mountains. 4. Silence – I love snow because it creates the deepest silence – you can almost hear the hiss of snowflakes ‘kissing’. 5. A gong – I love the Flumi because the sound reminds me of a whale call and is deliciously dark!